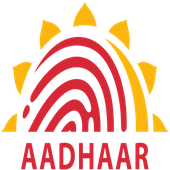 Online Application Details for Unique Identification Authority of India UIDAI Recruitment of 2 Deputy Director and 4 Private Secretary is given below. Application form and duly attested documents are to be sent to Assistant Director General (Admn), Unique Identification Authority of India, Regional Office, Ministry Electronics & Information Technology, 1st Floor, RIADA Central Office Building, Lowadih, Namkum Industrial Area, Ranchi-834010. In envelope super scribed with 'Application for the Post of Post Name'.